Those creepy-crawlies giving you the nightmares? 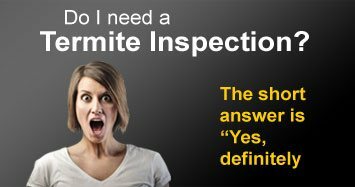 It could be anything - a possible termite infestation, ants marching across your walls, roaches under the refrigerator or a possum on your roof. Getting rid of these pests can be a real pain especially if you are considering a quick fix in-house. But why worry when we are just a phone call away! We specialise in residential and commercial pest control with our well-known 6 point advantage services. Residential pest control includes property pre-sale, property pre-purchase and building inspection. 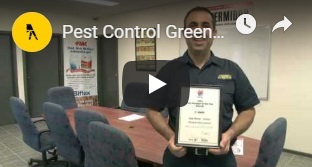 While commercial pest control includes almost all the sectors like food industries, healthcare premises and other commercial properties where pest infestation is likely. Our 6 Point Advantage Ensures 100% Satisfaction Guarantee. Pre-inspection: We run a thorough inspection of your residential or commercial property to identify the potential pest infestation. Primary Pest Control: We treat the most common entry points of these pests like the holes in the walls, around windows, vents, doors etc. Report and recommendations: We send a comprehensive report about the inspection which includes the kind of pests detected and our recommendations on how we can go about treating them further. Natural Treatments: We offer solutions which are a combination of natural and bio-degradable treatments and the latest in technology. Technicians: Once we decide on a plan of action, our well-qualified and licenced technicians carry out the pest control measures in your premise. Pest Management: Once rid, we also guarantee proper management of this pest control through free services during the warranty period. We use next generation termite control solutions like Termseal, Homeguard,Termidor, Exterra for complete eradication of termites. And most importantly, we respond to your queries and calls almost immediately!